Erase It Clean™ is a company designed to solve your problem of having to question how you destroy the confidential information you obtain at your company. 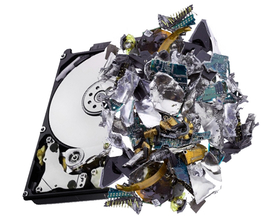 Consumers governed by HIPAA, SOX and GLBA are required by law to properly wipe/destroy hard drives before destroying them. Erase It Clean™ guarantees all information is destroyed correctly while abiding by these protocols and more.